Sarralle has worked with Tecnalia in this new development with temperature recorders attached to the product, the evolution of product temperature is recorded at various points during the heating cycle. 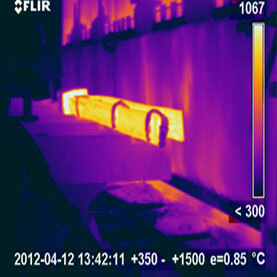 Detecting heterogeneities in heating the product. Evaluate the correct operation of the control of the oven. Get the actual curve of heating the material to adjust the heating cycle.